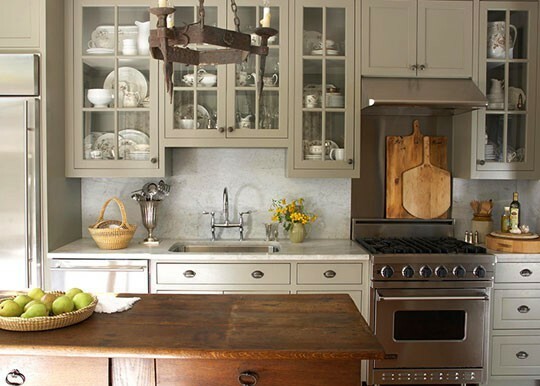 I see a lot of white kitchens with wood topped islands. 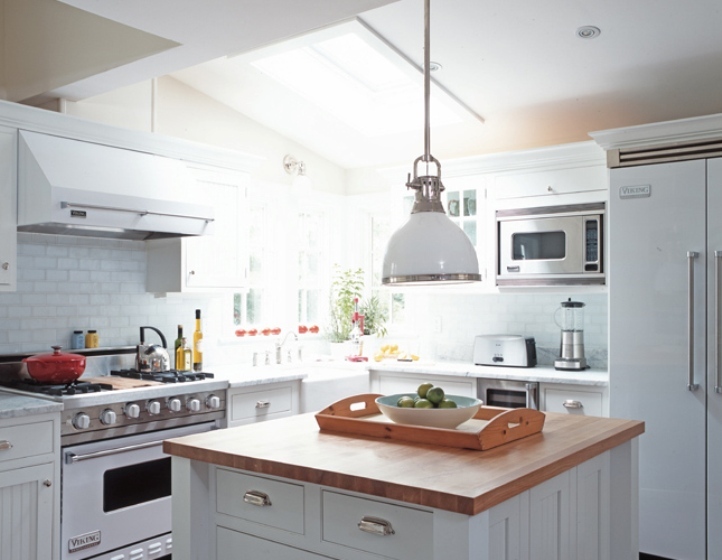 Today I have five white kitchens with wood topped islands. 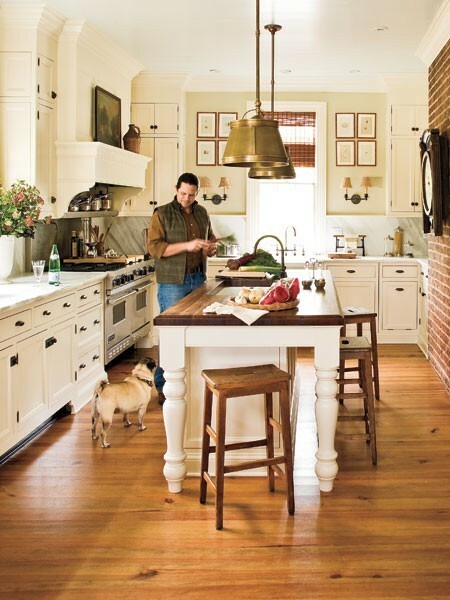 All five kitchens have white marble on the perimeter countertops.